I offer the following broad support programmes, created to address the major areas of concern for my clients. However, your own programme is personally tailored, with a unique blend of advice and support to put the emphasis where you need it most. Single personal Nutrition & Wellbeing Reviews are also available. All programmes are delivered on a one-to-one basis, in person or remotely. Please talk to me to discuss your needs. Get in your best shape and address challenges around your weight with a focus on healthful, satisfying foods that promote balanced blood sugar levels and nourish your body inside-out, simultaneously mastering practical new habits for sustainable success. Restore balance to your gut, get relief from chronic digestive symptoms and reclaim your mind and body wellbeing through learning to nourish yourself best for your personal needs and considered, manageable nutrition and lifestyle strategies. Tap into your unique genetic information to discover what your body needs to achieve your weight and wellness goals, and have a powerful, personal blueprint for life-long eating and lifestyle choices that help enable your body and health to truly thrive. Reignite your energy levels, get your glow back and improve your personal resilience with the support of nutritional therapy and the mastery of diet and lifestyle habits that help you better manage your personal energy resources for success at work and play. Reconcile your relationship with food, learn to listen to and love your body, and improve your intuition around eating and lifestyle choices. 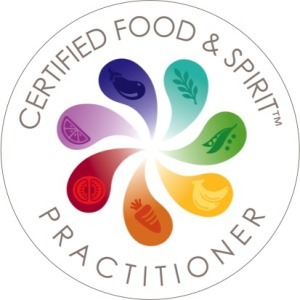 Fusing the ancient wisdom of the Chakras with the latest in mind-body nourishment, this is a transformative journey to a more joyful relationship with food, and life.